Tom Yum Thai soup has a unique taste. 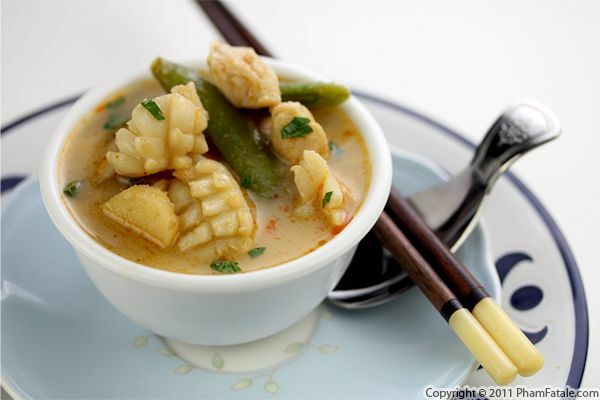 It's both spicy and sour and loaded with amazing flavors such as lemongrass, galangal, fresh kaffir limes leaves and coconut milk. For this version, I combined fresh water chestnuts, sugar snap peas, tamarind, red chili powder, baby squid and mackerel. You could also add shrimp or chicken. And of course, the soup is easy to make vegetarian as well. The warmth of the broth is very soothing. I usually serve this seafood soup with a bowl of steamed jasmine rice on the side, which makes a complete meal while still being pretty healthy (you could also omit the coconut milk if you're health conscious). Give this recipe a try; I promise you won't be disappointed! 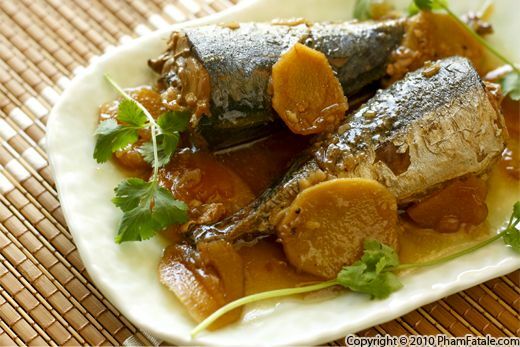 Cá nục kho mía literally translates to "mackerel braised in sugarcane sauce". It's the fish traditionally served in a Vietnamese claypot. The dark caramel ginger sauce is made from galangal and sugarcane juice (nước mía in Vietnamese). 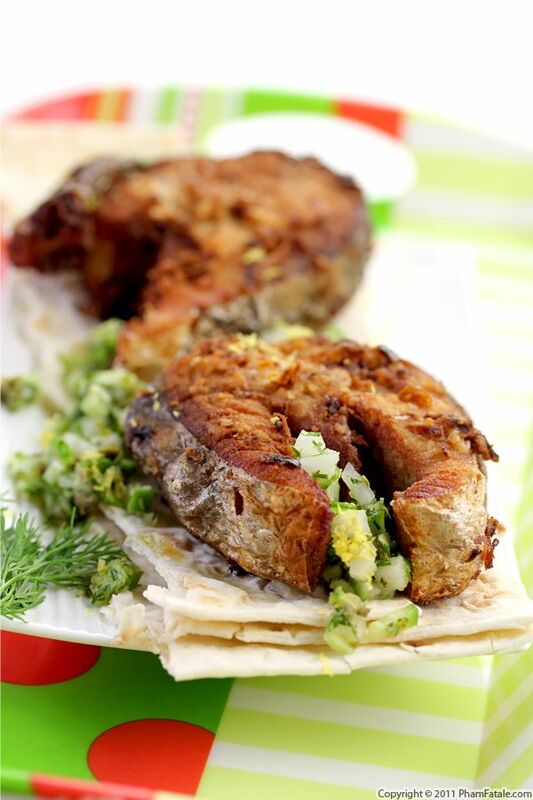 Mackerel is high in Omega 3 oils but can have a strong fishy flavor. 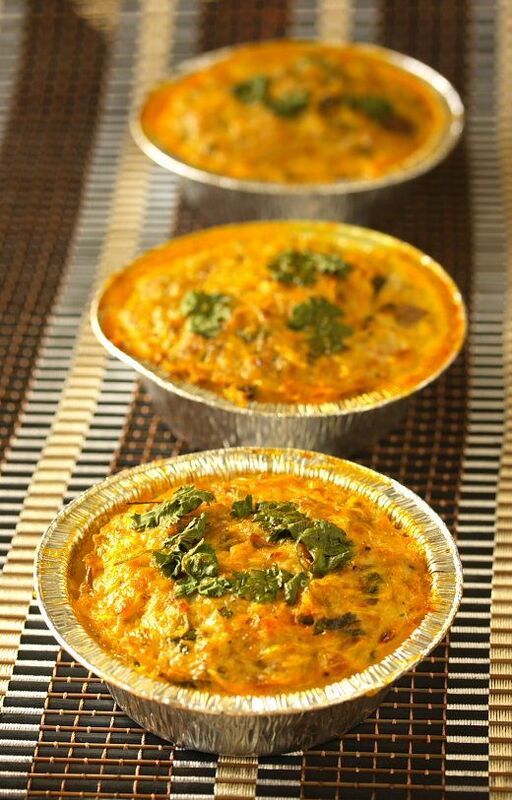 There are several steps that can be taken to ensure this dish is absolutely delicious. First, when you're at the market, make sure the fish is fresh; fresh mackerel shouldn't smell fishy. Look for clear-eyed fish with bright, shiny scales. The second step is to clean the inside of the fish thoroughly in several water baths and let the fish rest in a vinegary solution for a few minutes. The last part is to use a lot of shallots and galangal, which has a sharper, more aromatic flavor than ginger. It's slightly more expensive than ginger but it's well worth it. I served the fish with steamed jasmine rice and sautéed rau muống (Vietnamese pea shoot tendrils) with fresh chestnuts and wood ear mushrooms. Mắm chưng thịt is a staple of Vietnamese cuisine. It's a blend of pork or chicken, crab meat, salted fish fillet in brine, bean thread noodles, mushrooms and eggs. For this recipe, I used a mix of chicken breast and thighs. The flavor is reminiscent of the filling of a meat egg roll combined with the strong flavor of salted fish fillet in nước mắm (brine). 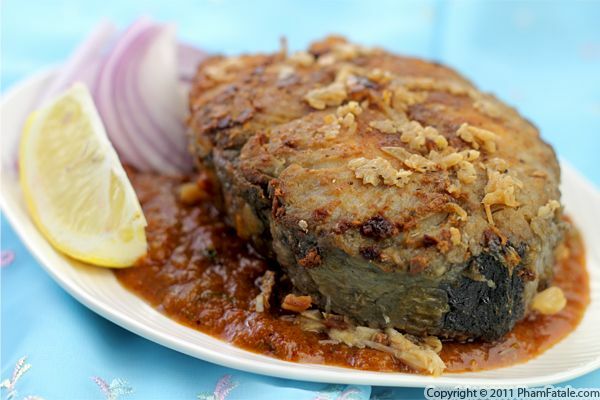 The most common fish used for making steam fish cakes is snakehead fish, though mackerel or catfish can be used as well.